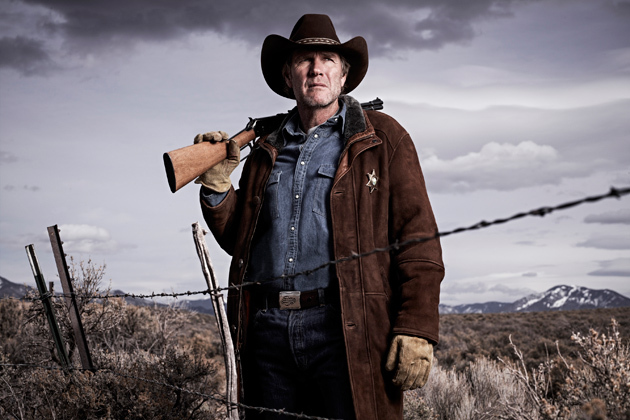 The third season of AMC’s adaptation of Craig Johnson’s novels about Sheriff Walt Longmire finds our protagonist, played by Robert Taylor, battling against forces outside of his control. Even more so than previous seasons, where he was moving forward case to case, this seasons finds Longmire’s ‘family’ fractured and bleeding. Henry (Lou Diamond Phillips) has been arrested for the murder of a drug dealer who may have killed Longmire’s wife; Branch (Bailey Chase) struggles with reality after being shot and left to die on the Indian reservation; Vic (Katee Sackhoff) and her husband are troubled by demons from her past. All in all, this is easily the most explosive season of the show yet, and bound to be enjoyed by all. Longmire caught on in our house after its lead-in from the short-lived The Glades, an original story about a displaced Chicago detective in Miami. The modern-day Western works because of Taylor: sure Battlestar Galactica’s Sackhoff is solid, and the other actors fill out their parts well, but it’s all about Taylor. Craggy, sure-footed even in the midst of trauma, loyal to a fault, and incredibly humble (most of the time), he plays Longmire like a cross between John Wayne and Columbo. It’s fantastic just to watch him work. Obviously, the struggle to wrap up who killed Longmire’s wife was a necessary burden for this season. Emotionally, it was charged to watch Henry suffer for protecting Longmire, and to watch the Native American dynamics play out between Henry and his various tribal antagonists. But it was just time to wrap up the murder mystery. This entry was posted in Books, Reviews, TV and tagged Craig Johnson, Lou Diamond Phillips, Walt Longmire. Bookmark the permalink. so is it back on for the third or is it the fourth season? It will return for a 4th season – but on Netflix. (It’ll probably be released on DVD later on.) We liked Glades too – never saw Terriers.